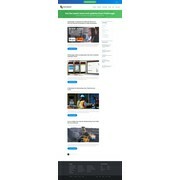 "Great designer, very responsive. Can have some communication challenges (language barrier I think)." "Viktoriann was super fast on responding to feedback." "Very professional and tasteful designer. He gets it on the fly, practical, and quick." "Very reactive and pro !" 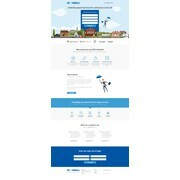 "Viktoriann designed a website for my investment banking firm. She is incredibly talented and easy to work with. I recommend her highly!" "just how we pictured it! great work!" "Very responsive to the many changes we did! Thanks so much"
"Viktoriann was an excellent designer from the begining"
"Great designer and very responsive. Didn't have to give a lot of direction. " "Viktorian used the brief to come up with exactly the type of design I was after. I now have an impressive design which will really make us stand out from our competitors." "Wpower is very good and creative." "Excellent job! Worked quickly and efficiently. Beautiful design." "AWESOME Designs. I am sooo happy with the results. WPower's quick response and ability to listen to my directions made WPower's an easy choice for my project. I highly recommend working with WPower!" "Kia ora, this designer was very open to comments and quick to make changes based on them. We would work with them again. Thank you for your design, we can't wait to see it functioning as a live site." "1. very sharp and quick off the block. understood our brief completely and made a design tailored to those requirements. 2. the designer is extremely helpful, responsive to feedback with impressive attention to detail, and has a very neat, clean des..."
"Outstanding work! 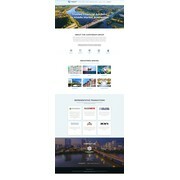 I have used elance for wordpress designs and came to 99 designs wanting a much higher quality design. And this designer met those high expectations. From the beginning, designer set out to make a quality design, but was always making r..."
"WPower created the design I was after with minimal instruction using design elements that really make the page stand out among. I will use WPower again." "Wpower has been a pleasure to deal with and is highly recommended. There have been a number of revisions that we had requested and they were all dealt with promptly and accurately. I will definetly recommend this designer to my friends and associates...."
"Very very good work. " "WPower was amazing and especially patient with the numerous changes and delays we encountered. The design was fantastic and the layered PSDs were perfect. I would highly recommend WPower." "Great designs, quick turn around and overall very good professional experience. Would recommend." "WPower is a wonderful designer and we love the site. Very responsive and worked great with numerous tweaks to generate the final product." "WPower was the best!! Their design was outstanding and their support during handover was second to none. I look forward to having WPower compete for our future websites! " "We were very pleased with Viktoriann's designs. She continually produced work that was clean, contemporary and gave full consideration to our site objectives. Her responsiveness and attention to detail were excellent and we hope to have the chance to wo..."
"The design looks great! Viktoriann followed our guidelines while producing something creative and fresh. Any revisions we needed were timely and helpful"
"Thanks, We appreciated that you have followed the instructions we sent and your patience when completing the changes we needed. You did a great job. we are looking forward to show off the new site and we will be recommending your services to others. Reg..."
"Viktoriann did a great job designing a tri-fold for my business. I highly recommend Viktoriann!" "Viktoria hat ein hervorragendes Gespür für gutes Design. Alle Änderungswünsche wurden sehr schnell umgesetzt. Die Ausarbeitung war exakt, die ausgelieferte Arbeit sehr ordentlich aufgeteilt. Die Ebenen waren sauber zusammengefasst und beschriftet, so da..."
"Everything was perfect! Big thanks ! " "Excellent work Viktoriann, a good understanding of our needs and very prompt with requests for changes. Will look forward to working on the next project together...."
"A great design, and excellent feedback in the handover. We were very impressed by Viktoriann's professionalism and willingness to go above and beyond in order to give us the best design. 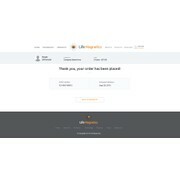 Thanks"
"Viktoriann was able to deliver exactly what I needed fast, simple, and was very user friendly. She thinks out of the box and has a very creative mind. Thanks again for your all your hard work and I look forward to working with you again. " "A great design, and excellent services through out the process to completion. We were impressed by Viktoriann's professionalism and willingness to go the extra mile in order to give us the best design." "I had Viktoriann re-design my website and they were a pleasure to work with! I was very pleased with their design! They even worked with me through the entire process of having the website coded. There were several times where the coding company had ..."
"Viktoriann developed a tremendous design for the FootyBet Jackpot web site. She responded promptly and accurately to the feedback we gave her and produced something that we are delighted with. I think she is an exceptional talent." "Viktoria is very easy to work with! She listened to all of my requests and was so quick to make changes. She fully understood all of my critiques and worked on the details until we were satisfied. I'd recommend her to anyone looking for a designer wh..."
"Wonderful and very talented designer. We are extremely happy with our two pages and would certainly use this designer again."